Facebook has demoed a prototype Archive Solution for “cold storage” at this years Open Compute summit. Currently, the system stores 10,000 Blu-ray discs that holds a petabyte of data and is highly energy efficient. However, this configuration has been blamed for Facebook going down from time to time. “Blu-ray discs are a good option for cold storage because they cost less to buy than hard disks and there’s a lot of room for manufacturers to increase the storage density of Blu-ray”, said Jason Taylor, Facebook’s director of infrastructure. 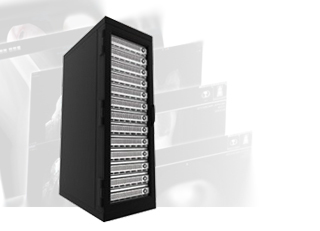 Digistor offers industrial and enterprise customers Blu-ray based Archive Solutions for cold data and offline storage. Visit our Enterprise Archive page for more information.